"The plants we examined responded to drought in various ways, from producing fewer flowers to producing flowers that contained no nectar," said lead researcher Ben Phillips, of the Environment and Sustainability Institute on the University of Exeter's Penryn Campus in Cornwall. "But overall there was a very clear reduction in the number of flowers that were available – and obviously this means less food for flower-visiting insects such as bees." "Not only are these insects vital as pollinators of crops and wild plants, but they also provide food for many birds and mammals," said joint lead researcher Dr Ros Shaw, also of the University of Exeter. 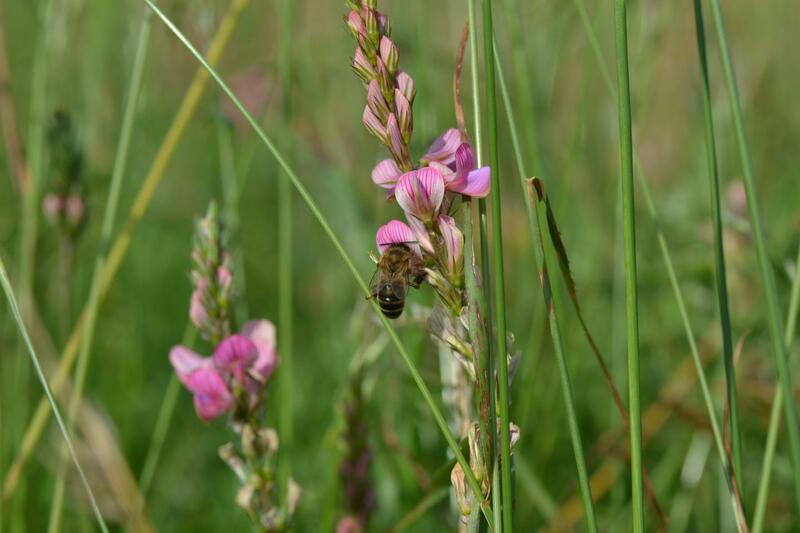 "Previous studies of the impacts of drought on flowers and bees have looked at individual species, often in the laboratory, but we used an experiment with rain shelters to examine the effects on real communities of plant species living in chalk grassland," said Dr Ellen Fry from the University of Manchester, who set up the experiment. "The level of drought that we looked at was calculated to be a rare event, but with climate change such droughts are expected to become much more common." The research was part of the Wessex Biodiversity and Ecosystem Service Sustainability project, and was funded by the Natural Environment Research Council. The paper, published in the journal Global Change Biology, is entitled: "Drought reduces floral resources for pollinators."